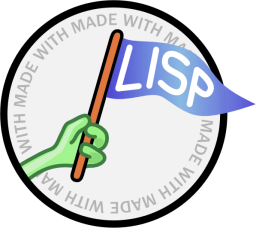 This is a monthly meetup event presented by Shibuya.lisp While holding monthly event that helps lispers to interact each other, we are planning to hold annual Shibuya.lisp Tech Talk. Please feel free to atend this event. The venue, Shibuya MarkCity 13F seminar room, is provided by CyberAgent Inc. Thanks to the provider power and wiress LAN is also provided. Detailed time table is below. κeen published Lisp Meet Up presented by Shibuya.lisp #48. I joined Lisp Meet Up presented by Shibuya.lisp #48!